Welcome to our website, razorbladesclub.com. On this page we describe in detail our Terms & Conditions. If you continue to browse and use this website, you are agreeing to comply with and be bound by the all the Terms & Conditions set out below. Obviously, beyond such legal agreements, there are real loving persons which sincerely care about their customers and will do their best to meet their expectations. We also promise not to sell or pass on your details to third parties. 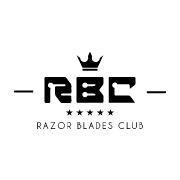 The term “Razor Blades Club”, “we”, “razorbladesclub.com“, “us” or “our” refers to the owner of the website whose registered office is in Klippgatan 12 B, 171 47 Solna, Sweden. Our company VAT number is SE820320254701. The term “you”, “user”, “customer” or “subscriber” refers to the user or viewer of our website. website(s). The inclusion of any links does not necessarily imply a recommendation or endorse the views expressed within them. liable for, the website being temporarily unavailable due to technical issues beyond our control. Additionally, your consumer rights, after the purchase of a product on our website, are detailed by the Swedish “Distance and Doorstep Sales Act” (Svensk Författningssamling 2005:59 om distansavtal och avtal utanför affärslokaler) which forms part of this Terms and Conditions. We do not store your credit or debit card details on our server or sites. Your credit or debit card details are securely handled by our payment gateway Braintree, which is a PayPal company. In the unlikely event of an error on your bill from razorbladesclub.com please contact us so that we can proceed to a chargeback as soon as possible (at most in 10 days). received faulty, please, send us the details of the problem and we will get back to you within three (3) working days. We will refund the cost of any faulty product or replace it free of charge. All items offered for sale include Swedish VAT taxes. The purchaser is responsible for any other taxes (such as import tax) that may be levied if the items are received outside of Europe. Currently, all our items are dispatched worldwide at a very low flat-rate of approximately 1 euro (the exact fee depends on the actual destination country). destination country and average 4 to 6 working days. In some rare cases the delivery might take longer as detailed in our FAQ. happened. Unfortunately we cannot replace missing orders that have been received by someone else on your behalf. Similarly, we cannot replace orders where the delivery address has been entered incorrectly by the subscriber. only once. In case the blades should not arrive even this second time, we will refund the loss but we will have to discontinue the service towards that address as it proved too unreliable. For the same reason, if the blades are lost in the delivery three times in a year, we have to discontinue the service towards that address. All content on razorbladesclub.com provided by us is protected by International copyright laws. Unless otherwise stated, we reserve all rights in that copyright. We strongly believe in all the products and advice provided here at razorbladesclub.com. Nonetheless, we cannot be held responsible for any damage or injury that may result from any use of our products. If you have any specific medical conditions, in particular related to your skin, we recommend that your check with your doctor prior to using any of our products.